We’re pleased to share this guest contribution from Tim Derrington, AIA + LEED AP. Tim is founder of Derrington Building Studio, a full-service architecture practice in Austin that focuses on relationship-based design, working closely with clients to deliver practical buildings that don’t sacrifice great design. Parents considering enrolling their kids in an alternative school tend to look into things like teaching philosophy, location, cost, classroom quality, educational achievements, and specialty programs when evaluating which one is best for their children. While all of those things matter a great deal, what if I told you that the built environment is among the most critical components to your child’s education and well-being? The success or failure of children’s learning environment influences everything from how engaged they are in the classroom to their level of focus when learning new skills to even their performance. Environment sets the tone for our learning and future growth. It is surprising, then, to find that most schools in the United States are made up of outdated facilities and failing infrastructure that do not meet modern-day health, safety, and educational standards. Not to mention the often uninspired facilities and dismal portable classrooms that many of our funding-deprived, overcrowded schools find themselves made of today. So how can we change the state of our schools from designs that are outdated to designs that adapt to meet the needs of modern-day education? I am an architect, and a few years ago I had the opportunity to design an addition to the Khabele Elementary School campus. It was my first time designing a school and an exciting project for me as an up-and-coming architect in Austin. Immediately upon getting the project, I started researching precedents, pedagogies, building technology, and many other factors that might influence the seemingly infinite possibilities when it comes to designing a school. I explored the work and teachings of some of our greatest educational thinkers, both old and new—people like Maria Montessori, Friedrich Wilhelm Froebel, and Sir Ken Robinson. I studied buildings that seemed to push the envelope on what a school could be. There were so many ideas and perspectives on what makes a great environment for learning, yet so many failed school designs in existence. Ultimately, I asked myself how architecture could affect a child’s learning potential and behavior. These were the factors I found to be most important and what I personally recommend every parent and educator consider when evaluating schools. There are few things I can think of that are more limiting to a young mind than predictable, unstimulating environments. There are so many buildings that succumb to the constraints of budgets and building codes and forego the opportunity to imagine wonderful spaces—in particular, spaces that encourage kids to explore, dream, observe and reflect. This happens more often than not and is a condition my team and I strive to change in our day-to-day practice as architects. What I have learned is that the most successful environments, especially those that focus on learning, offer flexibility and support a diverse set of activities and needs. Schools that have classrooms that can provide for everything from larger group discussions to small-group learning opportunities or individual creative exercises tend to win out and offer the best functionality. A more flexible space doesn’t limit the child to one environment. This may seem obvious, but many of our schools today fail to provide flexible learning environments for their students. Students need options and the ability to choose what space they learn best in, which in turn helps increase their level of engagement and learning potential. Want to provide a focused lesson to a group of 10 students? Need to perform individualized creative projects? Those scenarios call for very different spaces but are nearly always done in the same classroom. When all of the parts and pieces of a classroom can be easily adjusted to meet the needs of the day, the space comes to life with unique characteristics that make up a better-functioning and diverse space to learn, wonder, and create. Among other things, architecture is about striking a balance between providing shelter from the elements and encouraging connection to your environment. This balance has been found to be especially powerful as a learning tool, bringing people closer to nature as an educational space. In the case of the Khabele school, a visible relationship to nature was especially important. All of the rooms have large windows that offer plenty of natural light and views of trees and the surrounding forest. Lighting is the most important environmental input after food and water for controlling bodily functions and behavior. For this reason, optimizing natural lighting was a key aspect of the Khabele school design and should be a top priority in any new school development. Beyond just the lighting, we found that windows overlooking the outdoors were crucial. Outdoor learning environments are becoming more and more popular as a means of involving students in the study of ecology and greener environments. Integrating school structures with natural quiet areas as well as play areas is also very important. We wanted to encourage that connection by providing lines of sight to the trees and play areas outside the classrooms. My team and I made a conscious decision to showcase beautiful natural material, including stone and wood, to mimic the existing building on campus while also blending in with the surrounding Texas hill country. The importance of infusing a child’s physical setting with a direct, physical connection to nature cannot be overstated. The main entrance is the first thing every child sees when arriving at school. This entrance has the opportunity to be welcoming and approachable, or unfriendly and withdrawn. I’d bet you that any parent and their child would want their school to look welcoming, for obvious reasons. A school should be a friendly place that encourages learning. Welcoming entrances also serve the role of orienting children as they move throughout the school’s campus, serving as a visible pillar of the school and giving it a sense of community. Although Khabele already had a building on this campus, we considered how our addition to the school could serve to better welcome and orient students. A wooden deck served as the main pathway to the new classrooms, signaling to students and teachers alike that they should enter the space. The deck was made extra wide so that it could easily accommodate clusters of students moving back-and-forth from class while also being a visible point of reference for students and visitors. Designing the next generation of schools requires having an open-table discussion among students, educators, parents, and architects. With limited research in this area, it is up to us to determine what elements of a school design work best and what needs to be refined in order to create schools that support the growth and development of future generations. Through these collaborations, we can stop letting poorly designed schools limit great teaching moments and take their toll on student learning. Most importantly, we can ensure that our schools’ philosophies are better reflected and supported by the environments in which they are taught while also encouraging a greater appreciation for the built environment. Laura Smith, a postpartum doula with Austin Babymoon, is one of those rare individuals who seem to transform the world in positive ways with their every move. I am thrilled to bring Laura and her latest transformative project to you by way of today’s special guest post. Roots of Empathy is a social-emotional learning program for elementary-aged schoolchildren that brings together everything most dear to me in the world: babies, children, and compassion and empathy. From the moment I first encountered the program, through an article in the New York Times in late 2010, I knew I wanted to bring it to Austin to share with our community. At the heart of the program are babies, coming into K–5 classrooms every three weeks all year long as tiny teachers. As a postpartum doula and nanny (and mother) with over a decade of work with dozens of babies, I have long felt reverence for the simple wisdom and presence of babies. Babies’ lack of self-assertion and their guilelessness makes them universally appealing. Almost anyone can smile with a baby. What Roots of Empathy has discovered since the program’s inception in Toronto in 1996 is that deliberate exposure to these infantile qualities can be profoundly transformative, bringing out the best in us all. The children connect to the baby's humanity on a deep emotional level. This connection becomes the lever for discovering their own feelings and the feelings of others. Roots of Empathy takes place in classrooms with students and teachers, a parent & baby duo, and a trained, volunteer Roots of Empathy instructor. Through guided observations of the baby's development and feelings and of the loving parental relationship, children learn to identify and reflect on their own thoughts and feelings and those of others. The trained Roots of Empathy instructor prepares and reinforces teaching done during family visits using a specialized lesson plan each week. Much research and independent evaluation back up what I could immediately intuitively understand: that the program significantly reduces bullying and aggression and increases social-emotional competence and prosocial behaviors such as sharing and cooperation. It also reduces bystanderism. When students who have been through the program later witness cruelty and injustice, even if they are not directly involved, they are moved to stand up for their beleaguered peers. And of course, better academic performance is a natural outcome of children's lowered stress levels and sense of being more supported and safe in their classrooms. The program is widespread in Canada, England, Isle of Man, Northern Ireland, Scotland, and New Zealand and is newly established in Germany, Seattle, San Francisco, and New York. It is so effective that the Scottish government has decided to implement it countrywide. Roots of Empathy has been recognized by His Holiness, the Dalai Lama; Emotional Intelligence author Daniel Goleman, Dr. Dan Siegel, the award-winning psychiatrist, author, and educator; and the World Health Organization, among others. The organization works in partnership with indigenous people and minorities globally. Mary Gordon, the founder, has won numerous awards, and the program has also won an International Changemakers award from the Ashoka organization. 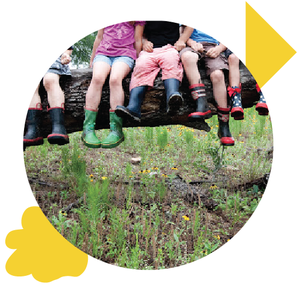 And now, this fall, as a result of more than two years of community development work, Roots of Empathy is coming to Austin! You might also want to listen to this Jian Ghomeshi interview with Mary Gordon that aired on NPR in May. Interested in being involved? I would love that, and I need your input! Here are a few ways to participate. I am looking for people who are interested in becoming volunteer Roots of Empathy instructors. Instructors deliver all aspects of the Roots of Empathy lessons in the classroom and work closely with the participating volunteer family. The instructors witness and guide the transformative effect of the baby’s presence in the group of children. It is an amazing experience! We will also need volunteer families, once funding is secured. Babies should be between two and four months old at the beginning of the program, so born between early July and late August of this year. It is a transformative experience for participating families. Often, the parents are so moved by the experience that they become volunteer instructors the following year! Perhaps you know of a school that would benefit from this program. This fall, it will be in 15 classrooms across the following four schools: The Khabele School, Austin Discovery School, Cedars International Academy, and Ridgetop Elementary. I have interest from schools in Pflugerville ISD and Eanes ISD as well and am already starting to prepare for the next school year (2014–2015), when it will be in 15 more classrooms. Lastly, and at the moment most importantly, funds. Financial support. We are applying for several grants, but in order to conduct the training in October for this fall, we need immediate funds. Roots of Empathy is a 501c3 nonprofit organization. We are looking for private individual donors as well as corporate sponsors. Thank you for your interest! For more information, check out the Roots of Empathy website. And please feel free to ask me any questions in the comments section below.